The rise of John Mooney is the story the nation doesn’t know about as Notre Dame (11-10, 1-7) has struggled in ACC play. Mooney is averaging 14.4 points and 10.8 rebounds per game but also has a streak of seven consecutive double-doubles. The junior forward is also just one of six major conference players averaging a double-double and leads the ACC in the category with 13. Mooney didn’t say he expected to lead the conference in double-doubles, but he put in the work leading up to this season. Notre Dame beat Boston College 69-66 on January 12th and then lost the next five games. The Irish head to Chesnut Hill on Saturday and look to flip the switch. Two of Notre Dame’s losses were to No. 2 Duke and No. 3 Virginia, which didn’t come as a shock, but Mooney knows the Irish can’t look over a beaten up Boston College squad. The Irish also played five games at home in January and while home court is nice, head coach Mike Brey is looking forward to getting back on the road. “Sometimes you get on the road and circle the wagons a little more,” Brey said on Thursday. “You’re loose and you can play. The last two games we had a great crowd and all these people there. You almost feel you have the weight of the world on you. I think our young guys felt that at times. Mooney echoed Brey’s statement and felt a new attitude could do the young Irish some good. It’s also not been a secret Mooney has been banged up the last few games as he deals with a sore ankle. 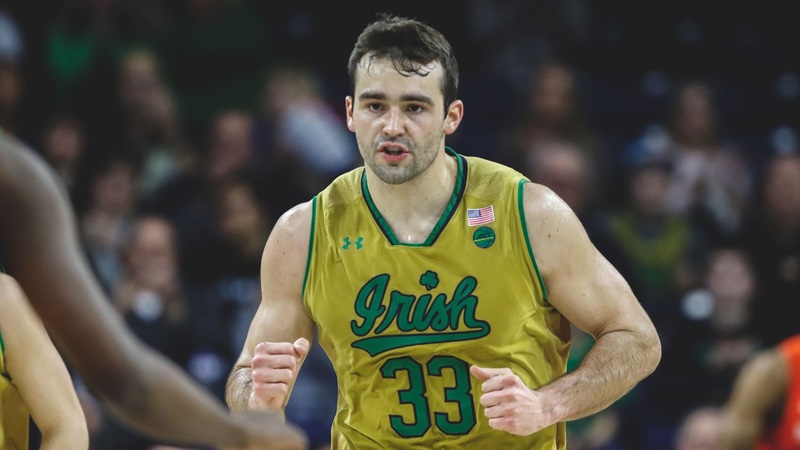 Brey has limited practice reps at times for his star forward and it makes sense as the Notre Dame has been devastated by injuries during the first three months of the season.